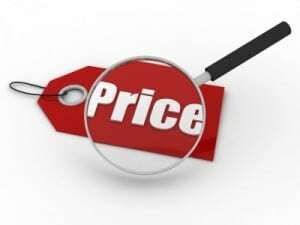 If the senior or managing partner doesn’t prioritise pricing, who will? The pricing function in most law firms is something of an orphan. No-one knows who it belongs to, so it ends up belonging to no-one. Individual department heads and fee-earners make decisions on the fly with little regard to the firm’s pricing policies, processes and protocols. Oh, that’s right, we don’t have any firm-wide pricing policies, processes and protocols to speak of. In a recent post, entitled ‘So, you’re going to nail the pricing business this year?’, I noted: “The road to hell is, so the saying goes, paved with good intentions. Firms often know that pricing is something that they need to address, or at least would benefit from addressing but aren’t quite sure where to start. Or, there have been a number of false starts, leaving a firm’s lawyers rather cynical and jaded about the whole topic of pricing. It would be a gross oversimplification to attribute these failures to a single cause but if I had to isolate a single factor that contributes most to the failure of a firm’s pricing strategy, it is a lack of pricing leadership. Yes, senior partners, managing partners and CEOs, I am speaking directly to you. Part of the problem is the point that this post opens with; whose responsibility is it? Here’s where it starts to go wrong. Fee-earners, particularly senior people, will tell you that they are the logical final arbiter of what is an appropriate fee. After all, they manage the client relationship and they sometimes brought the client into the firm. Hmm, ring a bell with anyone? To be fair, they are all correct in a way; the issue is a lack of leadership. Generally, I prefer to use my blog posts to put ideas out there and encourage colleagues to develop their own thoughts and solutions with my material as a catalyst. But off the back of over 30 years in practice, seven years as a managing partner and a decade working with more than 300 firms globally, ranging from sole practitioner to some 500 partners, I feel so strongly about this issue that I am moved to be considerably less equivocal on this occasion. If you, as the firm’s managing partner, senior partner or CEO do not overtly, forcefully and visibly make it clear to everyone in the firm that pricing is a critical part of your remit, ensuring that a pricing plan is developed and implemented, over which you will be exercising penetrating oversight and a vice-like grip, don’t even bother starting to head down the pricing improvement track. You will be largely wasting your time, effort and money. Sure, this needs the support of the board or the whole partnership or whatever the firm’s governance rules require, but pricing leadership by definition includes securing that support. Anything less than a vigorous and forthright approach will result in any attempt to improve the firms’ profitability through more sophisticated pricing, floundering. Results will be at best, insipid and transient, at worst, non-existent. We have worked with firms where the approach to this issue has been markedly different, and without a single exception those firms that are getting not only the best short-term results but also sustained and durable results are those where someone very senior in the firm has really taken ownership of the issue. I have already specifically mentioned senior and managing partners. They are in many respects ideal because by definition they should bring immediately recognisable seniority, respect and gravitas to the role that sends a very clear message to everyone else about how seriously the firm takes pricing. It does not mean that you have to do everything, which is neither possible nor desirable, but you must do a lot more than simply act as a figurehead for the cause. You need to take personal responsibility for establishing the overall pricing strategy. You must identify pricing resource and skills deficiencies and seek to address those. You must create an environment and a culture of pricing capability awareness and aspiration, and you must lead by example. Simply telling the finance director that he or she needs to get the firm up to speed on pricing does not cut it by a long shot. And what of those senior and managing partners who say that you do not have the time to take on something this onerous in addition to their already unmanageable workload? Well, as a former managing partner I can relate to that – but it is a lame excuse. Then prioritise the list in order of your perception of each element’s ability to boost the firms’ profit within the following 12 months. If you don’t put pricing at number one or two on the list, then you have a different set of priorities, which is absolutely fine, but don’t aspire to improving profitability without pricing as the central element of the mix. Decision made. Delegate something else to someone else to create space in your workload and take control of what really matters. Can you honestly look at that list and tell me that there is anything more important than doing the very best you can around pricing? Pricing and by definition the revenue it generates, is the lifeblood of the firm. Inadequate revenue, no firm. It’s that simple. Can someone else fulfill this critical role such as a CEO, COO or CFO/FD? 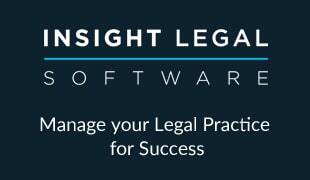 Yes, certainly, we have worked with firms that have done this successfully. Indeed some of the larger international firms now have very able specialists in the pricing role, but delegation still comes with the proviso that delegate already is or by one means or another becomes imbued with the same degree of immediately recognisable seniority, respect and gravitas as a senior or managing partner. Alternatively, it must be clear to everyone, including every other partner that when that person speaks, they speak as the senior/managing partner’s proxy. If not, you are simply giving them a ‘hospital pass’ with the resulting risk that others will see that for what it is: not important enough or worthy of your personal involvement, so why should they bother taking it too seriously?